Before the Second World War the term graphic design didnâ€™t even exist. Dripdry Shirts: The Evolution of the Graphic Designer celebrates the work of those pioneers who created this now familiar term. 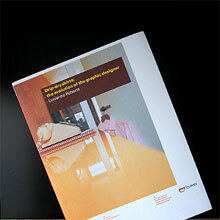 It contains the work of some of the most established and most innovative designers. A series of highly illustrated interviews with designers such as Ken Garland, Wim Crouwel, Milton Glaser, Karl Gerstner and Rosmarie Tissi place their work in historical and personal contexts as each designer reflects on their formative years and long careers. This is a book rich in anecdotes and observations as, free of many of the insecurities of youth, these designers speak honestly about what it was like to make design history. Is therena catalog I can get about buying drip dry shirts ? I use to use them a lot in the 50′s when I was traveling. My address is — 81 Mc Dougal Rd., Fayetteville, Tn. 37334. Looking forward in hearing from you A.S.A.P.